According to a survey by BrightLocal, an industry leading SEO software company, 88% of consumers say they trust online reviews as much as personal recommendations. 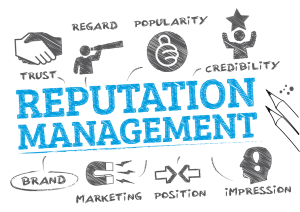 TSG’s Reputation Manager allows your tenants to post a review to the top online review sites, such as Google, Facebook and Yelp. Check out our Reputation Manager Demo. The Reputation Manager also allows tenant reviews to show up on your website, which can improve your storage website’s organic search engine ranking. The star ratings can appear in organic search engine results, which will encourage potential tenants to click the link to your website and find out more information about your storage container company, portable storage business, or self storage facility. The storage company can respond to tenant reviews and address concerns that the tenant brings up through the Performance Dashboard™. Honest reviews written by real tenants will show potential tenants that your storage container company, portable storage business, or self storage facility is trustworthy. With more and more potential tenants relying on online reviews, Reputation Management is essential for any self storage company. Check out our Customer Reviews and the Journey to Self Storage Infographic.